How to Create an Investment Plan - 3 Easy Steps — D.R.E.A.M. An investment plan is the single most important tool in the toolbox of any successful investor. For new or novice investors, creating an investment plan should be the first thing you do before putting any money in the market. In short, an investment plan is a document (it doesn't have to be longer than a page) that clearly identifies where and how you will allocate your capital, and the metrics you will use to identify/evaluate investments. Having a plan assures that you are not just aimlessly putting money in the market. In a moment I'll detail some easy steps to get you on your way. An investment plan provides parameters for the universe of your investment options and allows you the opportunity to ask the question “is this investment in-line with my plan?” with each new security or fund selection. The plan also provides a clear way to assess the performance of your portfolio in line with your investment time horizon. In short, an investment plan defines what is supposed to be done, why, how, and when. It should cover your expectations and risk parameters based on your investing thesis, market research, and personal psychology. Having a plan removes the biggest threat to an investor’s performance, emotion. Are you a value or growth investor? (I’m an avid value investor) Determining your investment style plays a key role in your actual investing. It dictates how you view opportunities, read performance measures of a particular investment, and view pricing (good or bad) for an opportunity. Don’t get too caught up in the label. Figuring out your investing style just helps to further guide your approach to the market. Are you a passive or active investor? For simplicity sake, a passive investor invests with a longer term perspective and does not actively buy and sell investments. (This can also be referred to as "buy and hold") Passive investors are likely to buy index funds, mutual funds or individual stocks with a long term outlook. 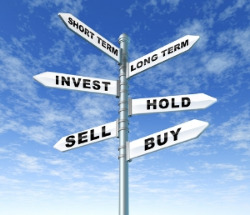 An active investor invests in individual securities with an eye for short term profits. They closely watch the market for price performance and seek to profit from short term moves in the market. It should be noted that active investing is far more time consuming than passive investing and requires a lot of diligence. How risk adverse are you? Are you comfortable with volatility? How much money are you willing to lose on a trade before you reverse your decision? How much of your portfolio are you willing to allocate to a single investment? Clearly defining these metrics will define your investment style and ultimately determine how you invest. Developing a uniform risk/reward level for all investment opportunities is key to investment success. 3:1 is generally a good metric for novice investors. To effectively calculate a risk/reward ratio for an investment you have to determine your desired upside, identify your stop-loss price, and then calculate the ratio between the net profit and your maximum risk level (stop-loss level). Always know the target price, worst case scenario exit, and entry price target before you invest. Maintaining a written account of your investment decisions and thought processes helps to assess the validity of your theories and measure your expertise. A journal should provide details regarding the rationale behind making a particular investment. One should also do a post-mortem on all completed trades. How did your investment thesis and rationale hold up? Did you make money on the trade? If not, what happened in the market that caused the thesis to be incorrect? Review your trade journal quarterly, realize what strategies work very well and identify your strengths. If you can’t notice any trends and it seems like luck is the main determinant of your success, then it’s time to return to “the drawing board”. Most importantly, review and analyze the trades that did not perform as you expected. Learn from these situations; never make the same mistake twice! An investment plan institutes a disciplined approach to investing. It provides clear guidance and metrics for every step of the process. An investor or trader without a plan is simply a gambler. Remember, a great investment plan that is not adhered to is useless. Consider an investment plan your GPS to profitability. Good luck!